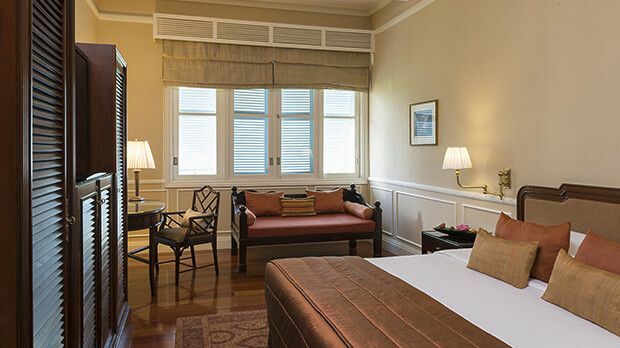 Raffles Grand Hotel d'Angkor oteline istediğiniz tarihleri içeren bir müsaitlik talebi gönderin. Room with 2 Twin beds, complimentary WiFi,classic decor and located in the extended wing. Room with King bed, complimentary WiFi, elegant decor and located in the extended wing. 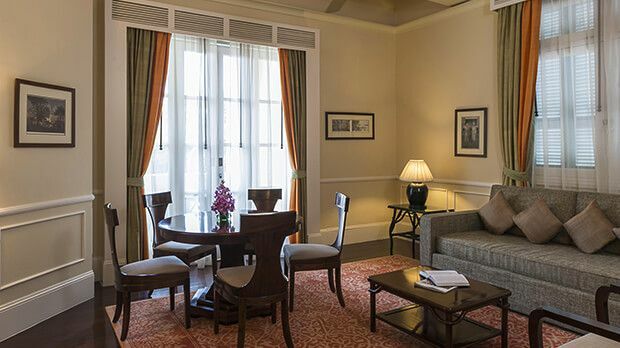 Suite with King bed, Garden view and complimentary WiFi internet. Room with King bed, overlooking the pool or French gardens. Each room includes individually controlled A/C, flat-screen TV, wireless internet connection, and mini-bar/refrigerator. Room with two Twin beds, overlooking the pool or French gardens. Each room includes individually controlled A/C, flat-screen TV, wireless internet connection, and mini-bar/refrigerator. Features a King bed, private balcony, complimentary WiFi and claw-footed tub located in main building. Suite with two Twin beds, Garden view and complimentary WiFi. Features a King bed, with unique fittings taking their inspiration from four famous figures who have been associated with the property. Features two Twin beds complimentary WiFi, classic elegant decor and located in Extended Wing. Features a King bed, complimentary WiFi, classic elegant decor and located in Extended Wing. Featuring two Twin beds, private balcony, complimentary WiFi and claw-footed tub. Suite with King four poster bed, private terrace with daybed, two bathrooms, WiFi, flat-screen TV, and Bose entertainment system. Located in the main building, featuring a King bed, separate shower and bath and a pool view. Features two bedrooms and one living room.